Easy File Sharing FTP Server is a easy to use ftp server software. 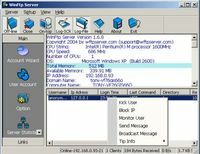 Platform independent secure ftp server with support for FTP/S, SFTP and HTTP/S. 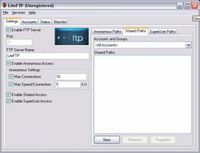 Fast, secure and easy to use FTP server with SSL and remote administration. High speed secure SSL/TLS FTP server. Reliable and easy to manage.